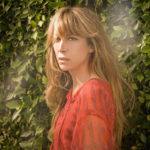 Amy Dresner is a former professional stand-up comic, having appeared at The Comedy Store, The Laugh Factory, and The Improv. Since 2012, she has been a contributing editor of the online addiction and recovery magazine TheFix.com. She’s also written for the Good Men Project, The Frisky, Refinery 29, and has been a regular contributor to Addiction.com and PsychologyToday.com, where she has her own addiction blog entitled “Coming Clean.” My Fair Junkie is her debut book. -How she got into the position to write her first book. -The misconception of creative people that you need drama, tragedy or addiction to have a significant life or art. -Finding inspiration by simply being outside of your comfort zone. -The connection between addiction and creativity and seeking a connection to something outside of yourself or something greater. -How she was able to be so open, honest and vulnerable in writing My Fair Junkie. -Dealing with the resistance of not wanting to put herself in the headspace of active addiction. -How it is never too late to start something or to change (and how you’ll never feel ready). –How you do anything is how you do everything. -How she writes for herself and why she never reads the comments on her articles. -Putting yourself out there and owning all of your mistakes, flaws and humanness. Amy’s Final Push will encourage you to take consistent action every day, despite your feelings.